Career Summary: Ms. Candio serves as a Principal of the Premier Performance Partners Cost Management team, with more than 16 years in clinical, executive leadership, consulting, and supply chain experience. She has a proven history of helping large, multi-disciplinary health systems create, implement, and measure best-in-class programs focused on improving supply chain efficiencies, patient outcomes, and customer experience. 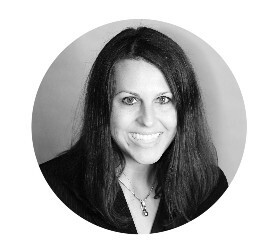 Ms. Candio is experienced in creating and executing growth strategies for clients with measurable results. She has assisted clients with operational improvements and non-labor expense reduction engagements in supply chain and clinical transformation. Most recently, Ms. Candio was the executive lead for Premiers first Academic Medical Center and exceeded milestones and customer expectations through saving the system $35.3M in 1 year while improving patient outcomes. Specific areas of expertise include HCAHPS, supply chain efficiencies, standardization, clinical delivery optimization, value analysis transformation, and resource utilization management. Ms. Candio developed her approach through experience gained as a corporate dean, surgical nurse, supply chain leader, and top performing medical sales executive. 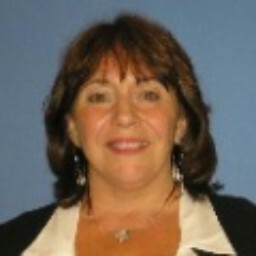 Ms. Candio has been a speaker for Medtronic, GHX, AHVAP, AHRMM, and HIDA. As a board member for the Association of Healthcare Value Analysis Professionals (AHVAP), Shannon led the creation of the industry’s first credential for healthcare value analysis professionals. Selected Experience: Ms. Candio has a passion for healthcare value analysis. She created an enterprise-wide value analysis program for a $2.5B, 17 hospital health system. In this role she established and executed a streamlined methodology for product selection, utilization, and cost reduction leading to $6.5M in savings in 6 months after program implementation. Shannon also has led several complex non-labor expense reductions with multiple large healthcare systems focused on implementing strategies to reduce costs while improving patient outcomes. The most recent engagement resulted in a $35.3M savings for a large Academic Medical Center. There were over 251 total executed initiatives focused on clinical variation, supply chain, physician preference items, pharmacy, purchase services, and IT services. 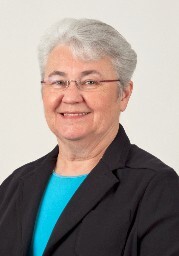 While serving as the Dean for Owens & Minor University, Ms. Candio was responsible for developing and delivering education to providers and manufacturers. She successfully designed and implemented O&M’s first customer facing Learning Management System, OMUeducation.com, where nurses and supply chain professionals are able to earn continuing education credits while learning about the latest industry trends. Ms. Candio also utilized LEAN methodology to create supply chain management programs to improve efficiencies. She created the user personas, supporting collateral, and marketing campaigns that grew website and learning management system from concept to a resource used by 46,000+ users across 350+ hospitals, generating $4.6-million in the first year. Ms. Candio through her own consulting organization, eVenture Healthcare, worked with small to large integrated network hospital systems to improve cost, quality, key performance indicators, and patient outcomes. Most notably, she created and implemented a customized Customer Experience plan that improved a hospitals HCAPS scores for the “year to date accountability” category from 2.1 to 2.8 exceeding the goal of 2.5. Education and Affiliations Ms. Candio has Bachelor of Business Administration from Franklin University and a Bachelor of Science in Nursing from Mt. Carmel College of Nursing. She is a member of the Association for Healthcare Resource & Materials Management (AHRMM), and is a Certified Materials & Resource Professional (CMRP). She is also a member of the Association of Healthcare Value Analysis Professionals (AHVAP), and is a Certified Value Analysis Healthcare Professional (CVAHP). Shannon obtained her Lean Six Sigma Black Belt from MSI. Gloria Graham is an experienced Registered Nurse with a demonstrated history as a healthcare industry operations leader with a track record of successfully developing and improving programs and processes through collaboration, innovation and patient-centric focus. She has 29 years’ within the industry including experience in neuroscience, emergency medicine, forensic medicine, value analysis and supply chain. 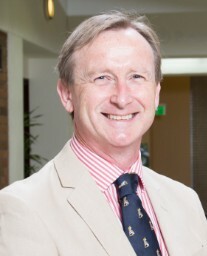 Dr. Graham has extensive experiences in supply chain management, value analysis, program/project management, patient safety and information technology with quantifiable success within healthcare organizations. She is a nationally recognized speaker and a Past-President of the Association of Healthcare Value Analysis Professionals (AHVAP). Currently, she is a Clinical Value Analyst within the division of Contracts & Value Analysis for Supply Chain Management at Cincinnati Children’s Hospital Medical Center. She coordinates the clinical value analysis process and other supply chain activities related to patient care, quality and safety. As an internal liaison to both clinical and non-clinical staff, Dr. Graham has been able to share how clinicians and supply chain partner with each other for improved patient care and safety. 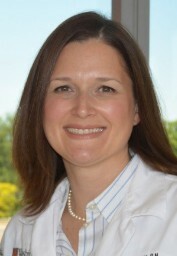 She is a strong operations professional with a Doctor of Nursing Practice (DNP) in Healthcare Leadership from Mount St. Joseph University, a Master’s of Science in Nursing (MSN) from Xavier University and a Bachelor’s of Science in Nursing from Berea College who consistently achieves outstanding results through development and leadership of multidisciplinary teams. Senior Vice President, Supply Chain at Premier Inc.
Susan has 40 years of experience in the healthcare industry. Prior to joining Vizient, she spent 31 years holding various clinical and leadership roles as an Operating Room Nurse. Susan’s areas of expertise and professional skills include education, team building and project management; working with supply chain, nursing, healthcare executives and physicians in value analysis program development. Susan challenges her more advanced value analysis programs to tackle such complex operational issues as product utilization and patient care delivery. With introduction of clinical benchmarking data, her Value Analysis committees focus on practice variation - integrating quality, outcomes and cost data in their analysis and discussions with physicians. Garry entered the greatest health care profession when the ‘green Egan’ was newly published and IPPB and blow bottles were all the rage. Since that time, he has served his profession at the district, state, and national level where he has served in the AARC House of Delegates, AARC Board of Directors, and in the role as your AARC President. Garry continues to serve his profession in various volunteer roles and he is most proud to be an AARC member! 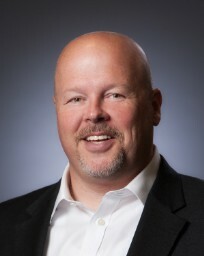 Brent Petty is Executive Industry Consultant for Healthcare; Brent assumed the role of an Industry Consultant in 2015 after serving 12 years as System Vice President, Supply Chain for Wellmont Health System, Kingsport TN. 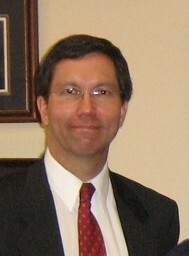 Brent in addition to his consulting responsibility currently has the distinct honor of being the 2015 Chairman of the Board of the Association for Healthcare Resource Materials Management. (AHRMM). Petty earned his professional designation as a Certified Materials Resource Professional (CMRP) through the AHA Certification Center, a division of the American Hospital Association. Katie Scaggs is a Performance Improvement Consultant for Healthcare. She has been long dedicated to the evolution of healthcare practice at a large mid-western academic medical center. She started her career as a staff nurse and has progressed from nurse manager to director of surgical services. Katie has been recognized as a leader in the organization. Katie has been active in presentation and publication as a means to disseminate information. Katie's extensive background in perioperative services with experience as a staff nurse building up to the director role via leadership in ascending management roles. Developing a systematic approach to constantly assess and improve the structure and patient care delivery system has given her credibility within the organization and has allowed rapid improvements in patient care. Katie works directly with patients, care givers and providers to improve access to care as well as improving care delivery. She has had a professional designation as a Certified Nurse in the Operating Room (CNOR) since 2004. Julie works closely with physician and service line leaders to ensure they are meeting their quality improvement, cost reduction, and physician engagement goals. Julie is a regular speaker on physician leadership and engagement at conferences such as HFMA and AHRMM, and her thought leadership has been featured in several industry journals. Julie initially joined Lumere as the Director of Research & Insights where she led development of research software and research team. She subseuqently served as the company's vice president of clinical quality and effectiveness. Prior to joining Lumere, Julie worked at Sg2 managing consulting projects on topics such as service line strategic planning, health care reform, and physician leadership and alignment. 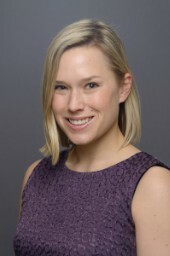 Julie received an MD and MPH from Northwestern University Feinberg School of Medicine. She graduated from Pomona College with a BA in public policy analysis. Jeffiny has an extensive background in pharmaceutical and medical device sales, which she parlayed into value analysis consulting and value analysis software. In her current role as Director of Clinical Operations for MSS, Jeffiny has helped create the CIV, Clinically Integrated Value, platform which helps MSS integrate clinical work into their supply chain decisions. Jeffiny also has been published several times and serves as the Marketing Chair for AHVAP, Association of Value Analysis Professionals. 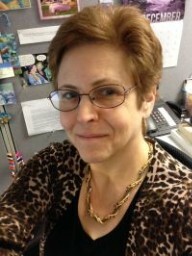 Barbara Strain is the Director of Value Management at the University of Virginia Health System in Charlottesville, VA. In her current role Barbara directs the value management program which collaborates with physicians, nurses and staff across the care continuum providing the infrastructure to standardize products and reduce practice variation. Employing a team of VA nurses and analysts their data driven results approach to manage resource utilization has produced more than $50M of savings over the past 9 years. 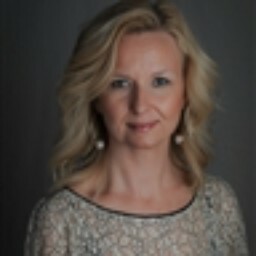 Barbara also coordinates LEAN activities related to supply chain and value analysis to identify and eliminate waste by using data analytics and systems thinking. Prior to joining Supply Chain Management, Barbara managed the Clinical Microbiology Laboratory operations at UVA. Additionally she served as the institutional fire safety chair and facilitated performance improvement initiatives as a Six Sigma green belt. 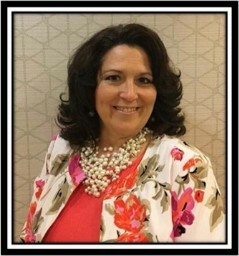 Barbara is a founding member, past president and current Southeast Region Director of the Association of Healthcare Value Analysis Professionals. Barbara has published articles on topics such as healthcare value management, supply chain & microbiology and speaks nationally on a variety of topics including personal viability, process improvement, sustainability and safety. 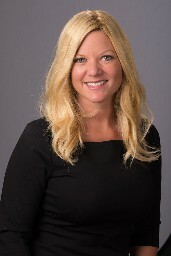 Manager, Healthcare Consultant at Premier Inc.
Career Summary Jenny Sydnor is a Manager in Premier’s Performance Partners, Cost Management Practice and is based in Colonial Beach, Virginia. Mrs. Sydnor has over 20 years healthcare experience with proven success in driving total cost reduction while improving clinical outcomes and operational efficiencies. She is experienced in nursing, healthcare leadership, value analysis, contracting, supply cost management, models of care transformation, care management, and performance improvement. Ms. Sydnor's nursing and clinical background includes Medical Surgical Nursing, Pediatrics, Women's' Services, Mother Baby, Neonatal Intensive Care, and Infusion Therapy. Ms. Sydnor has an extensive background in non-labor expense reduction, clinical improvement, and targeted performance improvement efforts across the continuum. Selected Experience Mrs. Sydnor has a passion for performance. She most recently was the clinical lead for Premier’s first Academic Non-labor Expense Reduction Project in which the team exceeded the savings milestones of $35.3M. She has developed, implemented, and lead enterprise wide value analysis programs at healthcare organizations. Mrs. Sydnor was part of developing the national certification for Value Analysis Professionals. She is also experienced in supply chain, contracting, non-labor expense reduction, organizational and clinical improvement. She has proven experience of savings hospitals millions of dollars by leading clinical transformation for length of stay, clinical variation, and resource utilization. Ms. Sydnor supports and implements initiatives to transform models of care. Using her experience, knowledge, and background, she manages targeted performance improvement efforts across the continuum to improve clinical outcomes, patient experience, and decrease length of stay. These initiatives include but are not limited to decreasing LOS, care management redesign, interdisciplinary rounds, and ambulatory operational improvement. Additionally, Ms. Sydnor has implemented clinical research studies and initiatives to improve staff engagement and customer satisfaction. She also has her Black Belt in LEAN and is a Certified Value Analysis Healthcare Professional (CVHAP). Education Ms. Sydnor received her Master’s in Business Administration from Liberty University in Lynchburg, Virginia. She also attended Virginia Commonwealth University where is received her Bachelor of Science in Nursing. Mrs. Sydnor is also a graduate of Rappahannock Community College where she earned her Associates Degree in Applied Science. She currently holds an active Compact RN licensure and is an active member of MGMA, AHRMM, and AHVAP. Mr. Winter is focused on analysis and business development of technology solutions for the Health Care Supply Chain. While his Supply Chain experience includes the basics of Warehouse and Distribution, he has increasingly explored ways to identify and drive cost out of the most intensive healthcare areas – Perioperative and Clinical Procedures. 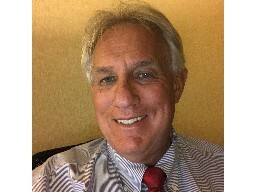 By way of background, Mr. Winter has experience in Clinical and Supply Chain Business Development, Clinical Information Systems and Product Management. Born in Wales, undergraduate education at The University of Cambridge, Medical School at The University of London. Surgical residencies at The University of Bristol, England and The University of Pittsburgh Medical Center. Colon and rectal surgery fellowship at The Cleveland Clinc, Ohio. 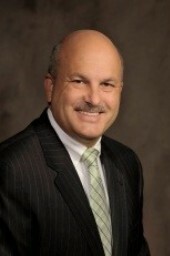 Private practice colon and rectal surgeon at Scripps Memorial Hospital, La Jolla since 1999. Past chief of Surgery and Chief of Staff. Medical director and Value Analysis (2016), Chair Surgery Care Line (2016), Physician Operating Executive (2018). Would you like to talk with the speakers or ask them questions? We have a mobile app for you. You can also easily browse the agenda, see who else is attending and talk with them ahead of time.